The keynote speaker began his lecture by mentioning a brief history of global crises and how fiscal policy played important role in solving the crises and creating the economic sustainability. The important role of the fiscal policy gives insight to the economist to revisiting general macroeconomics theory as a way give a space to fiscal policy in the body of the theory. In the second session of his lecture, Insukindro explains the role of economic fluctuation and exchange rate fluctuation which is also known as twin shocks toward fiscal function. “I found that the twin shocks influence the fiscal authority behavior in a long-term,” said Insukindro. The students who came to the general lecture express their content and excitement in joining the public lecture. 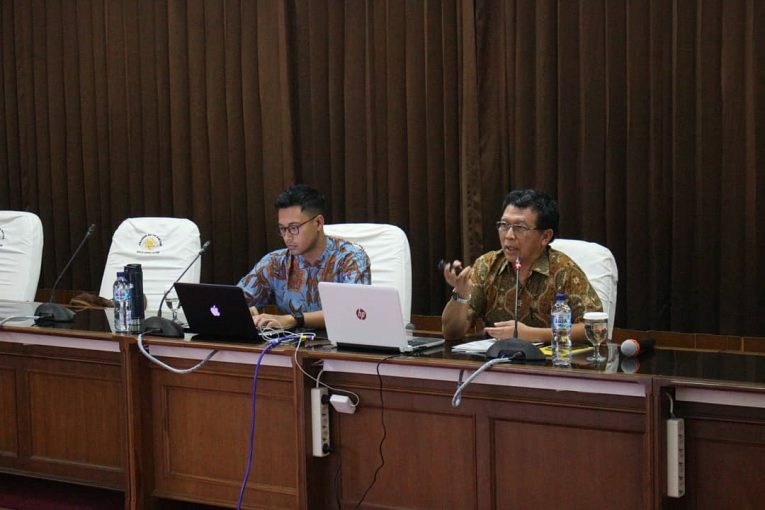 Putri Ayu, one of the students in MD FEB UGM said “the use of neo-classical theories as a new macroeconomic consensus and both of backward-looking and forward-looking model are interesting. In addition, the empirical method widens my horizon about the topics related to this study “(TSP).